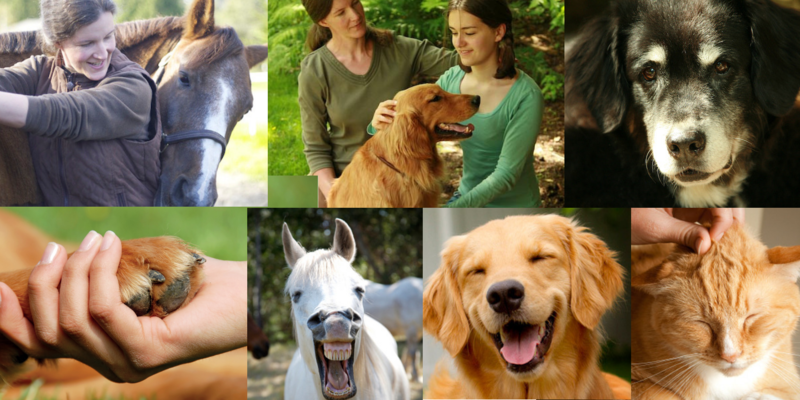 You'll be able to choose for Horses or for Dogs (good for other small animals, too). Or get both! Yes, give me the Free Foundations today! Get the support you need, starting today! Free for e-mail members! Get started with the 2 critical Foundation Techniques for helping your dog with Touch. Free for e-mail members! Get started with the 2 critical Foundation Techniques for helping your horse with Touch. This is the Wait List (free) to be notified as soon as registration re-opens to new members (not free). Monthly progress for the Physical and the Energetic. Discover the critical Shifts that make all the difference with any techniques. Learn about how the 38 Bach Flower Essences can help your animals.